With phone systems and insurance marketing software from Database Systems Corp., we can help you pre-qualify your health and life insurance leads. Lead processing for automobile insurance and homeowner insurance prospects can occur before these prospective clients ever speak to your insurance agents. Using our award winning call center phone systems with the Smart Predictive Dialing feature, we can call your prospects and play a highly focused and custom greeting. Our call center dialer gives your prospects the option to talk with an agent, leave a voice message, hear additional information such as the latest insurance rate quotes, schedule a call back, or simply decline the service. The call can further qualify your prospects by collecting demographic information and insurance information. When your insurance agents do speak with a prospect, you know there is a high level of interest. No longer will your insurance agents spend hours dialing numbers, repeating the same greeting, and experiencing a high level of rejection. 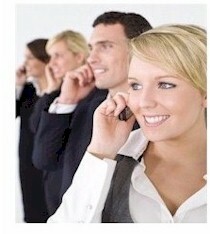 Your calls will be with highly qualified and interested prospects. Contact DSC to learn more about our insurance phone services and insurance marketing phone programs. Database Systems Corp. has developed insurance lead processing software for insurance applications. This software application is completely integrated with our call center phone systems which can perform both inbound and outbound insurance marketing campaigns. Our insurance applications are developed using TELEMATION, our award winning call center application toolkit. This CRM software tool is ideally suited for processing insurance leads and managing customer information. Our insurance lead tracking software has extensive computer telephony features that are supported by our insurance autodialer and inbound phone system. Insurance applications can be quickly tailored to your business using the robost features found in our insurance software. Insurance Marketing with Auto Dialing - This traditional method of calling dials a number from a phone list when a insurance agent is available to make a call. When the number is dialed, the phone system transfers the prospect to the insurance agent. This method simply relieves your insurance agents from the tedium of manually dialing prospective leads. This type of calling is appropriate when your insurance program is more complex and needs more explanation and personal interaction. Insurance Message Broadcasting - This is another method of calling where the phone system dials from a list and plays a pre-recorded message either to an individual or to an answering machine. An insurance agent is not required. This technique could be useful when you wish to inform a potential customer of a new insurance program, or to provide instructions on how to contact your insurance agency and apply for a program. Insurance Voice Broadcast with Touchphone Response - This method expands the prior message broadcasting technique by playing a message that gives the potential customer options from which to select. Using touchphone responses such as "Press 1 for...", options could include obtaining additional rate information, being removed from the call list, explaining insurance program benefits, leaving a voice message, or speaking with a insurance agent. A different message can be left on an answering machine. Insurance Predictive Dialer - Predictive dialing is very similar to automatic dialing, except the phone system dials several numbers ahead to reduce the amount of wait time between calls that your insurance agents handle. This greatly increases your insurance agent productivity, but may lead to lost calls because the dialer contacts an individual when no agent is available. "Smart" Insurance Message Dialing - This type of calling campaign blends Message Broadcasting with Insurance Predictive Dialing and can produce very productive results. Messages are played to potential clients, and if the individual expresses an interest in your insurance program, the call can be transferred immediately to one of your insurance agents. A separate phone message can be left on an answering machine. Database Systems can provide any type of calling program required by your organization and can even blend several types to determine what works best for your specific marketing program. Database Systems Corp. can provide your organization with a complete turnkey application and dialer for insurance programs. 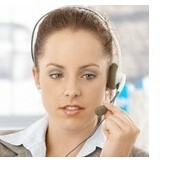 But you can also outsource your marketing projects at very affordable rates through our call center. This "TRY BEFORE YOU BUY" option lets you experience the results we know you can achieve through automation. Contact DSC today for a free quote. Another advanced feature of our Insurance Marketing Dialer is its ability to not only detect answering machines, but to leave a separate pre-recorded message on this machine. Statistics have shown that an individual is 2 to 3 times more likely to respond to a marketing message left on an answering machine than to respond to a mailer. Traditional auto dialers cannot detect the difference between an individual and an answering machine. Most that can detect the difference just discard these calls or at best, schedule this number to be redialed later. These dialers are ignoring the potential of getting additional insurance leads and business by leaving a targeted message. An important benefit of today's telecommunication advancement is the ability for your insurance agents to work from home. Database Systems Corp. has developed a family of telecom products that promote this capability. Our PACER phone system, combined with our CRM application software and computer telephony products, fully supports remote agents and work at home employees. Now your insurance agent employee base can be significantly expanded with the addition of work at home employees. The economic savings and environmental advantages are significant. To obtain additional information about our remote agent capability, you may view our Remote Agent page. TELEMATION is a contact management application that is ideally suited for processing insurance marketing and customer information management. This award winning application is employed in a wide variety of organizations including contact centers, help desks, customer service centers, service bureaus, reservation centers and corporate call centers. The package has extensive CTI features and is fully integrated with our PACER phone system. TELEMATION operates on Linux, Unix or Windows servers. Software programmers can develop insurance applications quickly using the robost features found in the Telemation toolkit. Contact DSC to learn more about our insurance dialer that processes life insurance leads and homeowner insurance marketing.